Maximising the returns from specialist sales staff means enabling them to focus on negotiating and closing deals. Using a team of skilled telemarketers (B2B opportunity finders) to generate sales leads and set up meetings and appointments for them is the most cost-effective way of doing this. Business Advantage's team of professional telemarketers can make the skillful, direct approaches to decision makers in the global CAD/CAM/PLM markets and provide you with prospects with a real interest in your products and services. give you the peace of mind that your potential customers are being approached in the most professional and effective manner. Working closely with you we'll ensure our team of lead generators have the necessary knowledge of your products and services, and then we'll agree on the appropriate structure and content for their approaches to potential customers. We can use your own prospect data, a targeted selection from our own comprehensive and accurate databases, or we can source further data from external sources as appropriate. You will receive easily actionable details of the appointments or meetings made according to your preferences. Lead generation is part of our core business - we offer the most professional and productive way of generating genuine sales prospects. 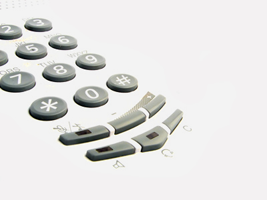 Our lead generators are professional telemarketers who deal with senior decision makers throughout the IT and Telecommunications sectors and particularly in the CAD/CAM/PLM sectors. They have the time, technique and ability to cut through to the objective - getting your sales people in front of potential purchasers. There is no need to commit to a full project; you can gauge the effectiveness of our operations during an initial pilot period. And with many different languages spoken in the team, we can create business opportunities for you in international, multi-country markets. Business Advantage collects high quality sales leads in markets all over the world - but with our database of 15,000 CAD/CAM using sites, we can offer the most cost-effective way of improving sales in the UK market. The database holds the contact details of around 50,000 decision makers and can be segmented in scores of different ways - just define the companies in your target market, and our telemarketing team will deliver the goods. Do you want more information on the UK CAD/CAM User Site Database? Contact us now to discuss any business development services requirements; call +44 (0) 1689 873636, or info@business-advantage.com.